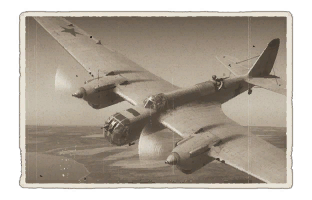 The SB 2M-103U is a Rank I gift Russian bomber with a battle rating of 2.7 (AB) and 2.3 (RB/SB). Though initially in the game pre-1.29, this plane was removed upon Update 1.37 due to redundancy. Those players who acquired the aircraft before it was removed still have access to it. 580 350 ??? ~?? ~?